Hemp is a hot topic here in New Zealand. Yet, for a country that has such a strong history of leading the way on progression, innovation and achievement, it’s current stance on hemp is bizarre and confusing. New Zealand law prohibits the sale and consumption of hemp as food, and we’re one of the last countries in the world with this stance, along with Saudi Arabia. So what is hemp and why is it not legal to eat in New Zealand? Hemp is one of the oldest and most versatile industrial plants on earth. 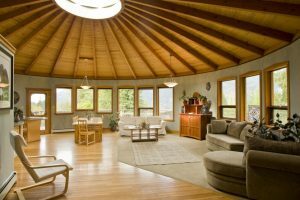 As long ago as 10,000 years ago hemp was spun into usable fibre that had a myriad of uses. Hemp seeds are an extremely nourishing and healthy food for humans and animals, while the fibre can be made into countless useful things – clothing, fabrics, ropes, sail canvas, paper, bioplastic, biofuel, fibre board for building, hempcrete (concrete), insulation, and much more. It even works as a toxin sequester for contaminated soil which is useful for farmers wanting to convert their land to organic, or as a “mop crop” in places like Chernobyl where hemp is planted to help undertake phytoremediation, the process of clearing radioisotopes and other toxins from soil, water and air. Growing hemp is good for the environment because it requires much less water compared to soy, corn, cotton, wheat and rice and the food yield is more nutritious. It is highly resistant to pests, weeds and diseases, so minimal chemicals are needed. Even the US Government touted “Hemp for Victory” in a short documentary put out by USDA during WWII. So what happened to this wonder plant that was going to save the world? Hemp is a variety of the Cannabis sativa plant species, and therefore incorrectly tainted by its association with recreational cannabis or marijuana. 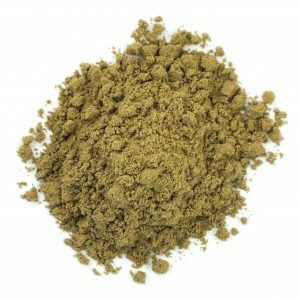 The industrial hemp variety contains little to none of the psychoactive compound tetrahydrocannabinol (THC), typically less than 0.3%, compared to marijuana which contains 2-20+% THC. It is impossible to get high from hemp. A similar analogy would be to have a misguided concern over getting intoxicated from kombucha. Hemp (leaves) contain high levels of cannabidiol (CBD) which can interact with different biological targets in the body (cannabinoid receptors and neurotransmitter receptors) giving potential therapeutic benefits. More research needs to be done on CBD to fully understand it. CBD falls under Medicinal Cannabis laws, and is a different topic to the traditional hemp food and fibre industry. Despite the positive attributes and uses of hemp food and fibre, it’s association with marijuana has been negatively construed by public perception. Subsequent legal restrictions have prevented it from becoming a significant crop industry until recent times. After a long period of hemp prohibition, now over 30 countries across Europe, Asia, North America, Australia and New Zealand have hemp production in place, regulated under various laws and restrictions that vary from country to country; New Zealand is one of the last countries to allow hemp as food. In 2015, the USA industry was estimated to be worth US$600 million and this is driven primarily by hemp seeds. 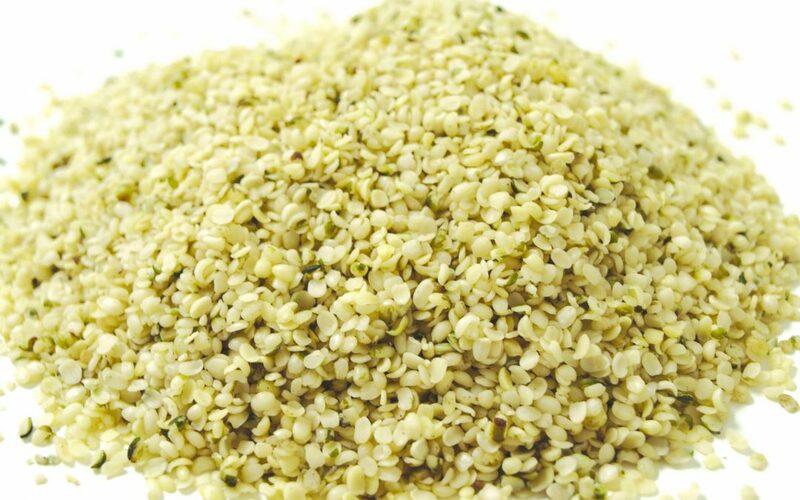 Hemp seeds: nature’s powerfully nutritious superfood, according to me! Lawmakers are in the process of changing regulations under the Food Act, the Misuse of Drugs Act and the Medicines Act in order to allow hemp seed to be used as food. This will be a gamechanger for the food industry, as well as create positive economic and environmental outcomes for the country as it grapples with mitigating over-intensified dairy farming. Hemp as food is expected to be legalised by early December 2018. Until that happens there have been some interesting developments in the marketplace. Hemp oil is legal for human consumption, while hemp seeds are not. 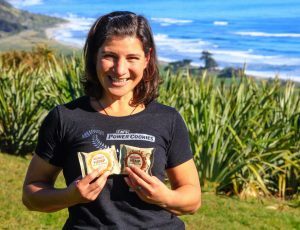 In the same breath, hemp protein, seeds and flour are widely available in the NZ market as “animal food” through online retailers and health shops, enabling consumers to purchase these products. Most people who are purchasing hemp protein or seeds are in fact consuming it themselves, not feeding it to their pets. It is a complete, plant-based protein containing all the essential amino acids. It is also gluten free, low in sugar, high in fibre, and contains B vitamins, minerals, and the correct balance of omega-3 and omega-6 fatty acids. My professional Nutritionist opinion on hemp is that it is in fact “nature’s powerfully nutritious superfood” and the dream ingredient I had been waiting for to use in my Power Cookies. 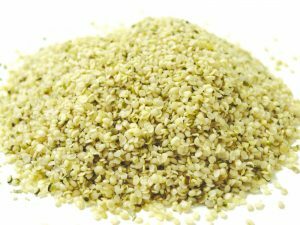 There is some confusion over why and how hemp seeds and protein are even available with the current laws making them illegal for human consumption. When we announced our Em’s Power Cookies Hemp Protein Cookie was ready for the market (as soon as the legislation allows) many customers wishing to consume a finished hemp-product were met with disappointment and bemusement over why the cookie could not be accessed now. The situation may be viewed as a grey area whereby selling a raw material such as seeds or protein can be reasonably argued to be animal food, regardless who actually consumes it in the privacy of their home. Conversely, a finished product such as a protein cookie that is obviously intended for human consumption, cannot be so easily marketed and sold under the current law. In essence, raw ingredient-type hemp foods can be accessed now as animal food whereas finished food products that are clearly meant for human consumption cannot until the law changes. Fortunately, it won’t be too much longer until we see hemp as food legalised and the confusion over what can and cannot be purchased and consumed will dissipate. 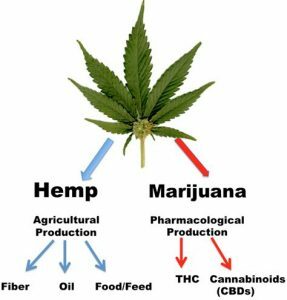 In the meantime, we have to start educating ourselves about the benefits of hemp, continue supporting hemp farmers and suppliers, and wait for the hemp goodness to unfold, once legal of course. Me with my Hemp Protein Cookies, just for show for now. Crazy aye.